A pendant and a silver brandy flask belonged to a woman who survived the sinking of the ocean liner will be on display. PIGEON FORGE, Tenn. — Andrew Aldridge is a Titanic artifact expert from London who came to Pigeon Forge to unveil a rare artifact. A flask that was aboard the ship will be on display at the Titanic Museum Attraction from February 4 to April 10 before being auctioned off in London. According to Aldridge, the flask is a unique piece of Titanic history that bears the scars of surviving the sinking of one of the most famous ocean liners of all time. First-Class Titanic Passenger, Helen Churchill Candee, traveled alone on the Titanic but quickly made friends. One of them, Edward Kent, escorted her to the lifeboats after Titanic hit the iceberg. She handed him a treasured heirloom and a unique silver brandy flask, saying, "You stand a better chance of living than I do." In fact, she survived and he did not. The personal mementos she entrusted to him did. They were found in his jacket pocket when his body was pulled from the sea. 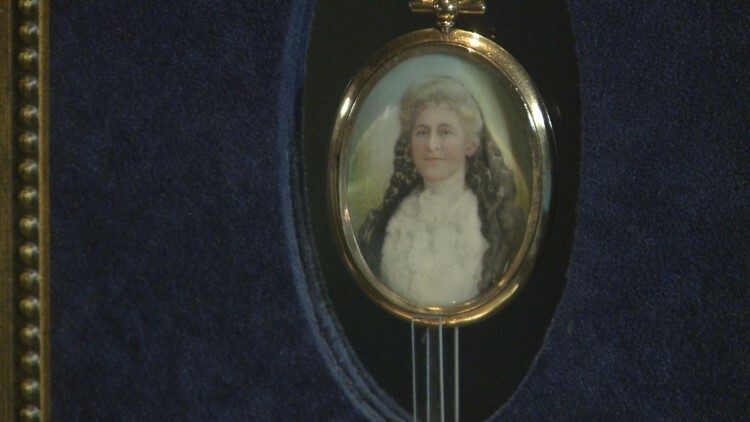 They remained in the Candee family until her granddaughter put the brandy flask up for auction at the Henry Aldridge & Son Auction House in England.